Compliance training programs are infamous for their boring nature. But, they are mandatory and all employees must attend them. So, making them engaging is very important. But how can you deliver the content of a compliance training program, which deals with laws and regulatory norms, in an interesting manner? I think I have a solution! Combine different training methods to provide learners a blended learning experience. Let’s see how. Before we proceed further, it is important to remember a successful compliance training program involves three important phases. You can have a different training approach for each step to make training an interactive and engaging experience. Wondering what training method to use in each of these steps? Keep reading. A blend of mobile learning and classroom training methodologies can be effective to educate your employees on the importance of compliance training. Deliver bite-sized online videos, containing messages from the CEO or other members of the top brass, explaining the necessity of compliance training. As they are short and can be accessed easily on Smartphones and tablet PCs, learners can access them anytime, anywhere. Coming to classroom sessions, before jumping off directly into the core content, a trainer must first present case-studies of various organizations, explaining how violations of the applicable rules cost the firms and employees dearly. They must also communicate the aspects of compliance this training program is going to cover and how it will help employees in their daily jobs. Short online training modules and job-aids are very useful to engage learners. 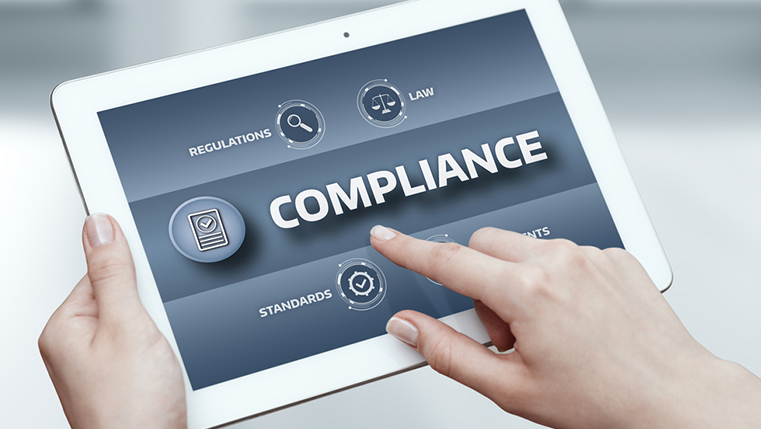 As compliance training programs deal with legal aspects and regulatory guidelines, they are usually long and text-heavy. To make the programs interesting, you have to divide the content into different units or modules. For example, instead of delivering a one hour long online course on workplace discrimination, you can deliver short modules, each covering a single topic such as age discrimination, racial discrimination, religious discrimination, gender discrimination, and so on. Also, guidelines prescribed by regulatory bodies are not easy to remember. So, make them available to learners at the point of need. For example, after delivering a module on the Personal Protective Equipment (PPE) to be used while working with pressure vessels, you can display posters of the PPE in the work area. These job-aids can also be digitized for access on mobile devices. Online scenarios can be used very effectively to enable your people apply the knowledge acquired to their jobs. For example, after delivering an e-learning course on workplace harassment laws, you can use short scenarios to help your learners identify the actions that violate these laws and how to handle situations where they feel they are being harassed. Later, you can have role plays in a classroom session, enacting real-life situations of the different types of harassment, and how to handle them. This helps learners experience the application in a real environment before facing it real-time. By blending different training formats, you will also be addressing all types of learners – auditory, visual, and kinesthetic. But not every company has the expertise to identify what and how to blend. It’s a good idea to team up with an experienced corporate training solutions provider to come up with an ideal combination of training methods.